My last blog (“It’s COLD Out There/Here“) not only elicited a couple of comments on the boards, it also stimulated numerous e-mails from other readers who pick the blog up via newsfeeds (for example on LinkedIn or FaceBook). If you like universal consensus, you should be happy because that’s what I got from everybody —namely, that now is not a good time to go looking for a new job unless you have absolutely no choice in the matter at all. It’s one thing to read that the job market is tough, and that people are having difficulty finding work, even in IT. It’s another thing altogether to experience this first-hand for yourself, as I have in the past three weeks or so. It’s even more of a wake-up call to hear these same experiences and sentiments echoed by a great many people you know, and whose opinions and perspectives you trust, as well as from acquaintances who chime in to validate this outlook. Batten down the hatches, and be prepared to stay put wherever you might be right now, if you’ve got any kind of job. As I said in my reply to the previous blog’s commenters “What’s the point in going out looking, when the only thing you’re certain to find is trouble?” And while jobs may be scarce, or even non-existent, in some situations, trouble is one thing that never experiences shortages. With an ample supply already available to you in your current situation and life, why add to that stock right now? So far, no reponse at all for 8 of the online applications has occurred, for intervals between one and three weeks since my indication of e-interest. I’ve been careful to provide cover letters and current resumes in all cases, and have also received electronic tokens of receipt for these applications, so it’s clear they’re not simply floating in the ether never having been received. I’ve gotten calls from two recruiters, both of whom have offered half (or slightly less) of the minimum hourly or salary rate that I carefully included in each of my applications. It’s very much a first for me to be approached when such a profound mismatch exists between my stated hourly or salary needs and the rates the hiring or contracting company is willing to pay. I’ve gotten electronic messages from two employers, both indicating that my application is under review, and they’ll get back to me if and when they decide my qualifications and their requirements warrant further discussion or conversation. Other than that, nada! I’m guessing this is typical for the current market. Conventional wisdom holds that it takes one month for every $10,000 in annual salary that a person wishes to earn to conclude a successful job search. At my preferred level of compensation that means it should take me at least a year to find a job. So far, all indications are that the time horizon is further stretched than that, if anything. The most telling evidence of the state of the market is that recruiters are calling when they know they’re low-balling contract or salary demands. The one contract job I was offered came with an hourly rate that I exceeded (based on converting salary to hourly by dividing yearly earnings by 2,000, a not atypical conversion approach, though 1,000 makes more sense with what benefits cost when you cover them yourself these days) in 1984! Needless to say, I simply informed the recruiter that I wasn’t interested in the work at that rate of pay, and left it at that. The salaried position I was offered got me into the early 1990s given the 2,000 conversion value, but was still about 1/3 lower than I would be willing to start commuting for, were I to accept such a position. That’s the way it goes in the 2009 economy. Please share your war stories, too, and I’ll chime in again from time to time with status on this situation. It’s interesting, depressing, and potentially terrifying, depending on what other income streams you have at your disposal. In my case, I’m still staying busy enough as a full-time freelancer to keep the wolf from the door, but for others…well, you tell me: how’s it going out there? Between March 18 (yesterday) and April 30th (the end of next month) IT Knowledge Exchange (ITKE) members who rack up the most Knowledge Points and ask five IT related questions can win one of three different Microsoft Xbox 360 gaming rigs (an Elite model goes to the top ranked player, a regular Xbox 360 for second place, and an Xbox 360 Arcade to the third-ranked expert). To repeat: the people with the highest Knowledge Points scores who have also asked at least 5 IT questions in the period from 3/18-4/30/2009 will win Xbox 360 gaming systems. Only players from the following countries are eligible: USA, Canada, UK, and Western Europe (I’m guessing this means countries in the European Union or its geographical confines, though residents of Liechtenstein, Andorra, Monaco, and so forth may want to request clarification before going all out for a top slot). Previous Xbox contest winners at ITKE are not eligible for this contest. All answers, discussions, and questions will be reviewed for validity. So start answering lots of questions (see the index of topics on the contest announcement blog) and visit the Ask a Question page to start building up credit for your 5 obligatory inquiries as well. Good luck to one and all. Hope to see you on the podium at the end of April! As the explanations should verify, these measures increase monotonically as the U-number goes up, so that U1 < U2 < … < U6. For me because U6 is the comprehensive and sweeping measure, it’s also the most interesting and (for me at least) the most likely to indicate how many people consider themselves to be unemployed or underemployed. If you take a look at the 2008 annual averages you’ll see some pretty sobering numbers by state and territory as well (including the District of Columbia, but not the outlying US territories nor Puerto Rico). Michigan tops the list with a truly scary 15.1% but 26 out of 51 entries come in at 10.1% or higher. No wonder a key priority in restarting our economy has to be putting people back to work: with at least one in 10 who could be in the workforce not all the way into the workforce, that could provide a big infusion of income at the macro level, and make millions of un- and underemployed Americans real wage earners once again. You’ll need to visit my Web page at www dot edtittel dot com and check the contact info to send me an e-mail with your contact information and phone number (except for Yasir I). I’ll call all the others and confirm your identity, then e-mail you your pickup link and license key. Congratulations to all of you, and condolences to Brett P from Central Wisconsin whose 6th place request exceeded my supply (if you want a license for the CCENT simulator, do let me know because I’ve got a couple of extra licenses to give away). 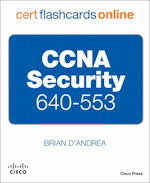 I’ve also got 5 licenses for the 640-460 CCNA Voice flashcards to hand out as well, so please let your friends and colleagues know that if they post a comment requesting same to this or any other thread where it’s mentioned they can pick one of those up for themselves as well, as long as they’re in the first 5 postings requesting one. Thanks very much to all those who participated. This was fun! If any readers have requests for other cert study material give-aways like this one, let me know and I’ll contact the publishers involved to see if they want to help out. Consider it our small contribution to stimulating the economy! Education: In today’s market a bachelor’s is no longer a “nice-to-have” credential. As a gifted but undegreed colleague and occasional co-worker of mine has learned several times to his loss in the last 6 months, a degree of some kind is often required just to be considered for any kind of IT position nowadays. Add points for an MA, more points for an MBA, Masters in Science and Engineering, and still more for any kind of PhD. Going back to school, and adding degrees nearly always results in a payoff, says everybody from the US Bureau of Labor Statistics to compensation specialists like David Foote of Foote and Associates. Technical qualifications/Certifications: Though not all technical qualifications result in certification, certs are probably the best-recognized example of this type of “tangible technical training and achievement” category. But in this case, perceived (high) value and distinctness are also important. An MCP, CCNA, any CompTIA cert, and other entry level credentials have become must-have checkbox items for many IT positions. It’s the harder-to-earn and scarcer credentials like CCIE, CISSP, and SAP certs that open eyes–and doors to new positions. Increasingly this means earning entry level certs aggressively, and treating them like the stepping stones they’ve become, then stepping up to higher rungs in cert ladders to earn recognition, increased opportunities, and better pay. Experience: This is still the king of the IT job qualification hill. Direct, documented, and substantial experience with the tools and technologies that companies use, need, or wish to invest in still trumps the other two items when employers look for differentiation among otherwise similar candidates. But the problem with a buyer’s market is that an abundance of candidates to choose from means that employers can become extremely selective about whom they’ll bring on board to fill open positions. Hence my point for this blog (and its title): given the situation, employers want real stars who’ve got depth in all three areas. That means advanced degrees, serious certifications, and lots of direct relevant experience are what it takes to get through the door and on board these days. That means we all have to be looking for ways to address these concerns and to convince prospective employers we’ve got the chops to do the job, whether or not we can claim to max out in all three categories! Access to Career Assist: I won’t go into this any further here, since I’ve already blogged about it on February 6 when details of this program were first leaked. On-site study sessions called “Exam Crams” (hey! That’s a very familiar phrase to me…) where exam candidates can bone up for immanent exams. Live Meetings (by which I presume MS means online, Web-based audio/video encounters) with MS technology specialists and trainers who will demonstrate training assist technologies (yawn) and answer questions to help them prepare (hooray). Exam Discounts: Take exams on-site at events, and save 40% off the usual price (use discount code NAM40UP to qualify). There will be 10 Web-based events (“Live Meetings?”) this week from numerous national training companies, of which New Horizons is the most active participant on subjects ranging from general certifcation hoo-rah to coverage of exams 70-642, .NET 3.5 MCPD stuff, 70-643, 70-620, and 70-647. 1 Event in the Austin Metro area (within 50 miles of my ZIP), which also corresponds to all events in Texas this week (c’mon MS: what about Houston, Dallas, and San Antonio, the three largest cities in TX?). A total of 80 events that will take place this week are currently visible on the Events Page as I write this blog, including study sessions, overview/introduction sessions, Live Meetings, and more. Looks to me like about half are marketing oriented, the other half include technical substance. For those who need to take exams soon, looking into onsite activities is worthwhile because of the $60 savings it means on MS exams. It’s possible that some of this content might be worthwhile as well (I’ll check out the New Horizons Vista stuff on Thursday at 11:30 AM Central because I can gather info for this blog and my Vista blog at the same time). A note of warning/info: if you want to attend a Web session, better sign up soon because it’s by registration and I’m guessing total available slots will be capped. But so far, there’s a lot of infrastructure here for relatively small set of content offerings. Makes me think more must be coming soon or MS wouldn’t have proffered so much hoopla and such a serious media blitz. We’ve gotten such a great response to my last posting, that I’m going to extend the contest for the Flashcards and Network Simulator through Friday, March 13 (duh! duh! DUH!!!). 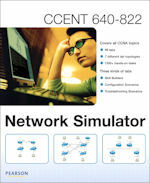 Cisco Press also kindly volunteered another item for giveaway–namely Flashcards for the CCNA Voice 640-460 exam. First name, last initial, and approximate location (for example: “Ed T, Central TX” in my case). Cisco Press Supplies the Prizes, I Decide Who Gets Them! Next Wednesday, I’ll post three finalists for each item, and ask them to contact me by e-mail to get their winnings. Stay tuned! I’m curious to see what kind of response this will provoke. [Update 3/11/2009]: While the contest was supposed to end today, thanks to Cisco Press’ generous addition of Flashcards for exam 640-460 CCNA Security, I extended it until this Friday, March 13. Please check back that morning to see if you’ve won, and also see my blog for March 6 for more information about that addition. You still have two more days to post to any of these blogs to enter yourself for consideration. I’ll be giving at least three copies of each item away, so don’t be bashful!!! And some of the firms accepting applications didn’t really have any openings. Rather, they were trying to improve the quality of their work force — by searching for people who might do a better job than the employees they already have. Wow! Talk about a chilling signal of a buyer’s market for employment. Presumably this means that if some candidate were to present him- or herself at a job fair, and be significantly better qualified than a person currently occupying some particular position, then the current job-holder might be laid off or let go to create a space for that person to fill. The very notion sends chills racing up and down my spine. I got one of my best-ever corporate jobs at a job fair, working for a company called Excelan as a networking consultant from 1987 to 1989, at which time the outfit was acquired by Novell, for whom I continued to work until 1994. I’m pretty sure that nobody was let go to make room for me during that downturn in the economy (we were coming out of a recession back then), but you never know. Kind of makes me rethink the whole politics of attending such events, but then, those who do attend them usually do so because they feel they must, rather than really wanting to go.